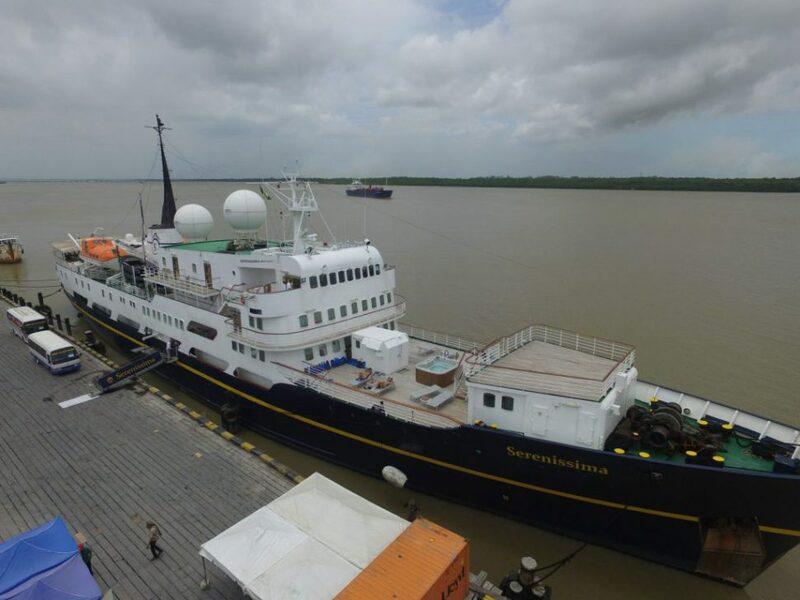 Three years after its last visit, cruise ship the MS Serenissima has made its way back to the shores of Guyana. The MS Serenissima arrived early yesterday morning with 104 excited passengers aboard. Steel pan music, along with art and craft vendors, greeted the passengers as they exited the ship, which was docked at the Guyana National Shipping Corporation wharf in Georgetown. It is due to be here for a three-day stay. 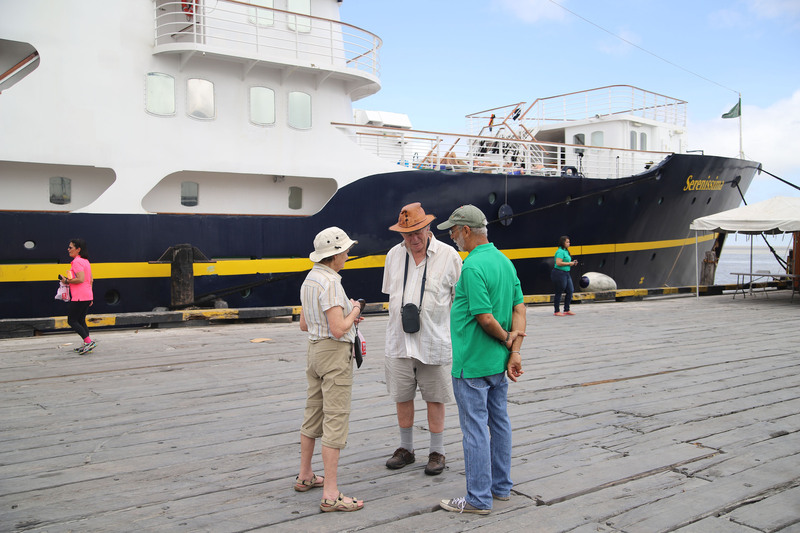 After visiting the country in 2016, passengers at the time said that their stay in Guyana was too short to experience the different cultures and various tourist attractions available in the country. Their feedback has resulted in the extended stay in order to allow the current visitors to get the full Guyanese experience. The majority of the passengers are from the United Kingdom, while the rest are from the United States and Belgium. The crew members are from England, Croatia and the Philippines. For almost a month, the passengers have been touring the Caribbean. During their stay in Guyana, passengers plan to visit Kaieteur Falls and the Baganara resort, and take part in tours around Georgetown. 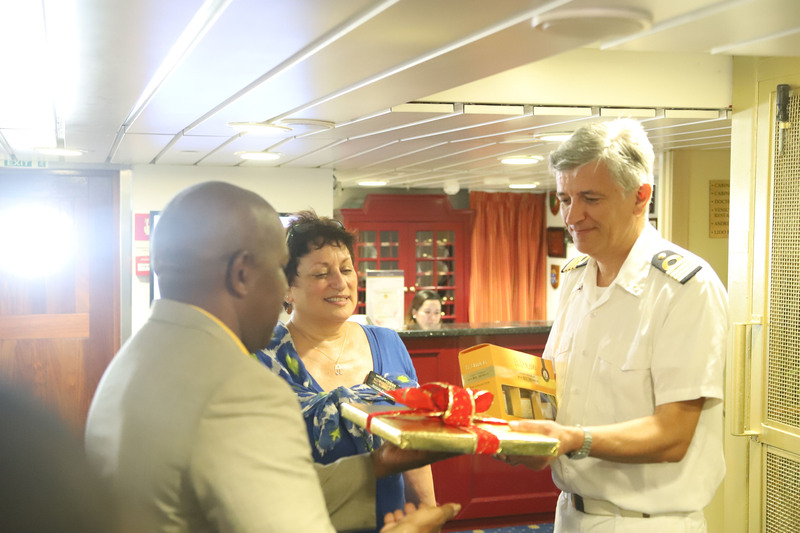 The crew was welcomed and presented with gifts by Donald Sinclair, who is the Director-General of the Department of Tourism. Sinclair mentioned how happy he was that the crew made it to Guyana, especially since the country was recently named the number one eco-tourism destination in the world. place— from the captain, who has to bring the ship into port, to everybody else along the way. GRA [Guyana Revenue Authority] is important, the immigration is important to ensure that they are processed in the speedy amount of time, port health is important for clearing them out [tourists], then when they disembark, we have the tour operators, on the ground agencies in place,” Sinclair said. The cruise started in Antigua on March 2nd and the ship will make its way back to the United Kingdom after its final stop in Paramaribo, Suriname.